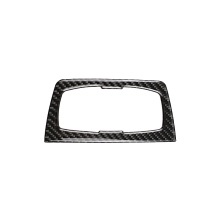 Made of high-quality carbon fiber materials, very durable. Gives your vehicle a high end and luxury look in minutes. It Comes with self adhesive on the back, easy installation. Won&apos;t leave adhesive residue behind after being removed. Water resistant and can last for a long time, anti-corrosion. Personalize and beautify your car in a simple way. Package Size: 17*8cm / 6.69*3.15in.